Even with all of the firewalls and virus protectors, the inevitable happens. One crazy Monday morning, your computer greets you with a problem. It’s probably the worst day possible when you don’t have time to sit quietly and figure out what’s wrong. The desire to take a hammer to the screen has been around for as long as, well, computer screens. Deep breath, that’s what Tech Support people were created for. Some tips to get you through this trying episode are to seek help, stay calm, and do what you’re told. Don’t spend hours trying to fix the problem yourself. Remember what the definition of insanity is and stop attempting the same remedy over and over again only to get the same result. Contact someone who knows how to get your computer back on track in minutes instead of hours, your Tech Support professional. It can be frustrating to sit there trying to calmly explain to someone over the phone exactly what’s going on with your computer. This is especially true when you aren’t an IT person. But slowly going through the events that led up to this computer emergency will give the professional on the other end a good idea of where to start. Be polite as you answer seemingly ridiculous questions, and calmly repeat your answers over and over again if necessary. Trust them to know what they are doing. At some point, the inevitable could happen and the Tech Support person may ask you to let him remotely access your computer. Of course, you didn’t just call anyone; you called a trusted, reputable company to help you out of this problem. Let them do what they need to do to get in and out of your system to fix this perceived disaster. When your computer puts a kink in your day, keep your cool and let the experts handle it. Don’t use a hammer, use a Tech Support professional. Smart homes no longer just exist in overactive imaginations and science fiction movies. Home automation is all around us. From cameras with two-way microphones at the door to automated lights, homes are gaining IQ points all across the country. So, here are just a few reasons you should consider adding smart tech to your own. No one likes coming home to a freezing house in the winter or an oven in the summer. As a result, many homeowners leave their air conditioning running even when they are away from home. The cost of this convenience is high. With smart tech, you can set a timer or use an app to turn it on before you head home. This coupled with automated lights throughout the home can save you hundreds of dollars each year. Smoke detectors, CO2 monitors, motion sensors and door alarms help to keep a home safe, but they are most effective when monitored by an external company. In a large fire or in the case of a burglary, the people inside may not be able to escape or call for help. With automated systems, if your alarm or monitoring company cannot confirm you are okay, they will dispatch the fire department, paramedics or law enforcement to your home. Are you planning on upgrading your home to include smart features soon? There are plenty of DIY hacks on the market, but to preserve network security and ensure total integration, consider hiring professional help for home automation. Predicting the evolution of IT hardware has proven elusive beyond about 5 years. Fortunately, relatively inexpensive IT hardware is typically exchanged within 3 to 4 years, but the center infrastructure is orders of magnitude more expensive and should be a focus of data center design. Here’s 4 critical factors to consider when planning your new center. Data centers use roughly 2% of global energy output. For large operations, data center design is about obtaining affordable power. The largest centers are built around generating electricity, which has allowed companies like Apple, Google and Amazon to invest heavily in energy independence so they can hyperscale as needed. With legacy hardware, the biggest energy sink was cooling. This is gradually changing, as solid-state storage and other technologies have reached critical mass. Not only far more energy efficient, they are much faster and require less cooling. And many data centers are being built around the free cooling concept or using geothermal cooling when available. Heartbleed and Spectre/Meltdown have convinced the hardest skeptics that data theft will happen. Careful strategies should be built into data center design to both increase security and mitigate damage when a breach has happened. DDoS, SQL injection and CSRF attacks happen daily, and all must be carefully planned for during design. As PFMs and system-on-a-chip become the norm, edge computing will play a greater role. Both will reduce the computational, power and cooling demands on the center while reducing required space. Docker containers and CaaS help reallocate hardware on an as-needed basis for maximum server utilization. Most IT professionals have long experience with what works in data centers and what doesn’t. However, an IT implementation specialist must be consulted when designing a new center. They’ll have the greatest knowledge about trends in infrastructure, where a very minor change can have massive long-term consequences. Look for a consultant with long experience designing both large and small data centers who is also very active, so you know they are current. Home automation is all the rage these days; almost all new construction now includes some infrastructure to facilitate the incredible range of smart devices. Once it’s set up, you are in the driver’s seat – in your easy chair or stuck in an airport halfway around the world. All homes can have these systems retrofitted, generally without too much hassle. Here’s 3 kinds of upgrades that will dramatically improve your life. Not every device in your home will work with home automation. However, you can still control them by installing smart switches and power outlets in place of normal ones. This inexpensive step allows you to turn power on and off to individual outlets to control lights and other items that won’t connect to your system directly. Going on a trip used to inevitably bring up one nasty question: “did you remember to lock the door?” With smart locks, you can double-check to be sure everything is safe – or allow access to friends and service people no matter where you are. Connected cameras allow you to monitor any part of your home, and video doorbells let you see who’s at your door before opening it. And motion sensors in areas of concern keep you instantly informed of any suspicious activity. Nest, Ecobee and iDevices (amongst others) allow unprecedented control of your energy use. They allow custom scheduling, long-term monitoring and control of your home environment from your smartphone. With an automated thermostat, smart window shades and connected outlets, users can reduce their energy use by up to half, potentially recouping the investment inside 3 years. The ideal time to upgrade is during a remodel, but automation can be installed in any residence. However, the smart hub can be complicated to set up, and the router must be thoroughly secured to protect your family’s privacy. When you’re ready for the 21st century, talk to a home automation expert in your area for advice on how to use this chance to save you money and create a safer, more comfortable home. 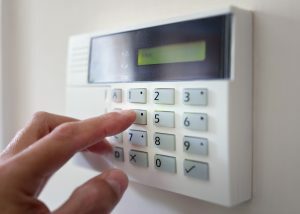 Home owners with families or valuable possessions are constantly considering how to keep their property safe. Home security systems are gaining popularity for a wide variety of reasons. Check out the top eight to decide if you should take the jump and install one on your property. Home automation is becoming more popular every day, and with the rapid improvements in technology, combined with the decreasing cost of these high-tech products, it’s never been easier or more cost effective to get the smart home upgrades you’ve had your eye on. Take a look at these three pieces of technology that can help make your life a little easier just by having them installed in your home. The recent design and release of new home automation technology has made a smart home a reality. With so much technology available, it can be easy to feel overwhelmed. However, smart home technology can be pretty straightforward and benefit most people. Modern day technology is moving forward at a startling speed. It seems as if every week there is an announcement of a significant advancement in science and technology. These advancements are making their way into our homes in the form of home automation. No longer are appliances the only technologically advanced aspects of our home. We can now automate even more allowing for reduced costs, increased security, and increased convenience.